How a fun day out became a pain in the neck!!! A patients story! Most of us have heard the term “Whiplash” used to describe neck pain mainly due to an injury which has taken place while travelling in a vehicle, but it can also occur from falls, sports, work injuries, and other incidents. At Chiropractic Dubai we recently had a patient in our clinic who complained of neck pain after visiting a water park with her children. She was having a great time splashing around on the water slides, but was suddenly taken by surprise on one of the rides and her neck jerked forward landing in the water awkwardly. While it was painful at the time, she thought the pain would just pass as we all do, so carried on with her day. The next day the pain was even worst and she noticed she also had a constant headache. Being a busy mum she ignored it, and after two weeks of taking painkillers which numbed the pain for a few hours but came back, she decided to get this checked out. After assessing her medical history, followed by an examination by one of our Chiropractors it became clear that she had a “Whiplash” injury but as a safety precaution she was sent for neck an x-ray. 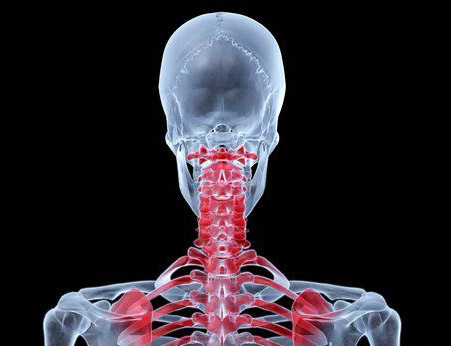 Most cases of whiplash aren’t life threatening and can be treated easily by a Chiropractor. Lucky she did something about it and after a course of Chiropractic treatment, followed by physiotherapy and massage treatments she recovered and was pain free within weeks. These injuries can occur when the neck is suddenly or violently jerked in one direction and then another, creating a whip-like movement. However, side-impact car crashes, or crashes while a person’s head is turned, may result in side-to-side whiplash-style injuries to the neck. Serious cases of whiplash can result in a sprain of the spine, when ligaments that help support, protect, and restrict excessive movement of the vertebrae are torn. Causing tears within the muscles and tendons. The discs between the vertebrae can also be torn causing a disc herniation (slipped disc) but this is more unusual. Approximately two thirds of people involved in motor vehicle crashes develop whiplash. 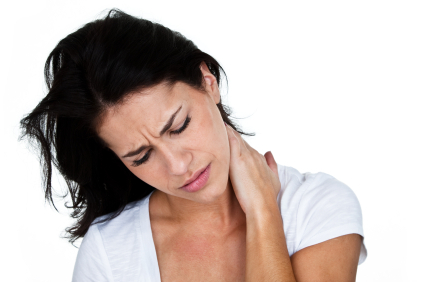 Symptoms may take 1 to 48 hours after to develop, causing pain in the neck, difficulty turning the head and headaches. The pain may extend into the shoulders, arms, upper back, and upper chest. Some patients also experience dizziness, difficulty swallowing, nausea, and blurred vision. They may even experience vertigo (the room spinning), ringing in the ears, pain in the jaw (TMJ), feel irritable, fatigue, and difficulty concentrating. Symptoms can persist for weeks, months, or even years if not properly treated. This entry was posted on June 20, 2013 at 10:48 am and is filed under Uncategorized. You can subscribe via RSS 2.0 feed to this post's comments. You can comment below, or link to this permanent URL from your own site.